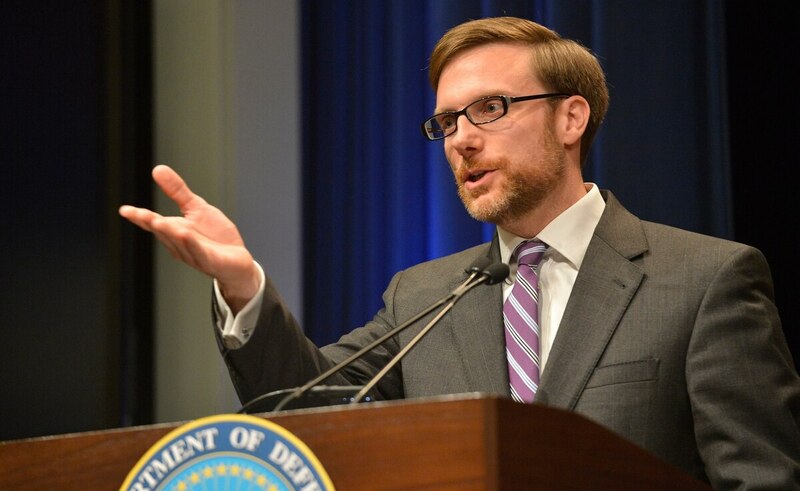 As the director of the Pentagon's Cost Assessment and Program Evaluation (CAPE) office, Jamie Morin has spent the last two years weighing in on the Department of Defense's major programs. During his tenure, CAPE has helped set the price for the B-21 Raider bomber, the Navy's Littoral Combat Ship program and, most recently, the first stage of the Air Force's intercontinental ballistic missile replacement. Q: There will soon be a new president, and it is expected that will come with wide turnover at the Pentagon. What would you tell the next secretary of defense about CAPE's role in the department, in particular as Congress has leaned on CAPE to provide analysis in recent years? A: It's a delicate balance. We do decision support to the secretary and the deputy on resource allocation, and decision support to the service and department leadership on program-definition analyses and alternatives and the like. Those are very important decision processes for the department that profoundly shape the national defense. They need to be deeply analytical if the department's recommendations are going to be credible. The other side of the coin is the compliance and rigor side of performing independent cost estimates, ensuring that they are funded to, and doing the directed evaluations on the parts of the program that the leadership believe are out of balance. So part is formulation and part is oversight. Q: If Congress does move to eliminate the undersecretary of acquisitions, technology and logistics job, there is a train of thought CAPE might pick up some of the oversight role. Is that a good idea? A: If we were a pure oversight organization, I think there would be a very substantial risk that we could become sort of a Cassandra or become just the voice in the wilderness crying out for more rigor, but without any ability to drive the institution to it. The fact that we have the two sides of the coin gives the department leadership the ability to point to the rigorous analysis and inject it directly into the authoritative department processes. I think that is the secret sauce that has made this organization effective and influential in a positive way, building a more efficient and effective defense. I wouldn't want to lose that by re-vectoring the whole organization to detailed oversight of program execution on the acquisition side. By doing the formulation, doing the analysis alternative work up-front, doing the portfolio analysis to see how the pieced parts fit together, that's a lot of work to do it well. If the vision was wipe out AT&L or make them just a technology shop and then ask CAPE to still do our work and do a portion of that [oversight], we would have to recreate much of that infrastructure or we wouldn't have the data that actually allows us to do analysis and get the insights that we currently produce. I would caution against that. I don't know what the committee's plans are as they are moving towards an agreement on their bill, and the secretary will have to give advice of the president on whether that bill advances or risks the progress that has been made. Those will be big choices in the months ahead. Q: Given that dual-hat role, do you have enough people to be able to do your job effectively? A: We are a headquarters organization in the Department of Defense, [and] we have made decisions as an enterprise that we are going to seek efficiency wherever possible in our headquarters. CAPE has not been exempt from that. We are pressurized. People are working hard. The staff is working very, very hard to get the mission done, which I am enormously grateful for. There is some risk there as we continue down our production path. We're going to have to manage that. Q: Are you able to recruit successfully for a job like CAPE, with competition from the private sector? A: The key to the success of CAPE and organizations like it are offering an intellectual challenge to people that is exciting and inspiring, [offering] people a chance to have an impact on big, big issues facing the nation that are really challenging, fascinating analytic tasks. The kind of people we need to hire here are not your run-of-the-mill government managers. They don't fit an easy-to-define set of skills. During my tenure here, we have been bringing in a lot of young people out of top-level Ph.D. programs. They are increasingly young. They are increasingly diverse. I think about 40 percent are women. We are breaking out of the stereotypes of an organization filled with old ops research and math guys who come here late in a career and camp out. It's an exciting place to be, but when I am hiring people with expertise in big-data analytics or space engineering, if I can't offer really neat problems and an opportunity to make a big difference, I am not going to be able to get those folks. Q: We hear a lot about the modernization wave that's coming, particularly on the nuclear side. What are realistic trade-offs that can be made? Because the one thing everyone in the Pentagon agrees on is it can't be their program that gets cut. A: So right now, we are confronting a modernization bow-wave beyond the future years' defense program as laid out today. It's actually an aggregate on par, or even slightly smaller, than where it's typically been over history. There has always been, since we have been doing programming, an unmet appetite of programs just beyond the FYDP. If you look at the department as a series of portfolios -- command and control, tactical air -- you can go through all the typical categories. Some areas are expected to be bulge areas in the next five years or beyond our five-year planning. Other areas are pivot areas. The nuclear area is one of our bulge areas in the mid-2020s through mid-2030s. It shouldn't' surprise anybody. It was a function of the age of the systems in that portfolio and when they were last modernized. So we have got a set of programs that we need to execute successfully if the policy direction is to maintain the force, maintain the Triad, aligned to the New START Treaty quantity numbers. That is where the policy direction is. So we have got to confront that. We have got to assess each of those programs, make sure we are starting off on the right footing because the schedule for all of them is constrained. You have got systems aging out. We have time to successfully execute acquisition programs to replace them, but we can't delay. What we can't afford is failed programs because we rushed into them or we started them out with unrealistic cost estimates where we started them out with unobtainable technical goals. Q: You get five minutes with the next president and they ask you how to get costs down at the Pentagon. What do you say? A: I'm not sure that's the right question to begin with because costs to do what, toward what strategic goal, is really the core. Once you have identified what is your posture across that, then you get to the question of how do you balance the triangle of military capability -- that is force structure, modernization, and readiness. How big does the force need to be? Piece by piece, portfolio by portfolio, where do you need new capabilities that you don't currently have? Once you have made those top-level choices, then you get to how efficiently can I run the resulting institution and how efficiently can I get from wherever I am today to where I need to be in the future? Those are analytic questions that we can do good work on, [but] we also have to be conscious of what will the Congress support. There is not a lot of value for us to suggesting something that is completely unachievable in our democracy, although we need to make our best recommendations for the future direction. There are clearly things you would do from an institutional-efficiency perspective regardless of strategy. Q: That sounds like BRAC [Base Realignment and Closure]. A: Obviously, to speak to the general efficiency questions, one that is always out there is domestic infrastructure. The analytics we have done suggest we have got about 22 percent excess infrastructure. That's a lot of additional overhead. It is a tax each year on the efficiency of the department. It drives a lot of our people. When I was working with the Air Force, we had a rough walking around number of 800 to 900 airmen required just to open the doors on a base, even before you have put the first flying squadron there. Set up security, provide all of the various components that were the fixed costs of running a base. So lots of tiny installations pay that over and over and over and over again. This isn't an easy thing to accomplish. I think one of the frustrations for the department as it is now more than ten years since our last round of base closure. It's not clear to me that BRAC is the only model to follow. Maybe we need to think about redefining what a process might be for getting to recognition that some installations need to close.